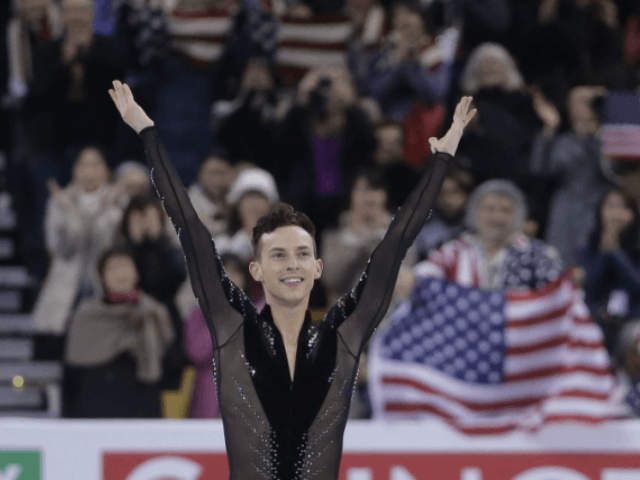 The first openly gay U.S. Winter Olympian, American men’s figure skating champion Adam Rippon, has criticized the selection of Vice President Mike Pence as the leader of the U.S. Olympic delegation to the 2018 games in South Korea, and said he will not meet with the veep. Rippon expressed his distaste over the choice of Pence due to the VP’s supposed support of “conversion therapy” when he was the Governor of Indiana. Conversion therapy maintains that homosexuals can choose to renounce their predilections and change their source of sexual attraction through therapy. Gay activists have criticized the treatment as a scam brought about from bigotry against their sexual preference. Despite Rippon’s accusation, though, Pence has never spoken specifically in support of conversion therapy, not as Indiana gov. nor as vice president. Regardless, the 28-year-old Olympian said he plans to refuse to attend any meet-and-greet with Vice President Pence if Pence remains associated with the U.S. delegation to the 2018 games. Rippon also insisted that Pence doesn’t have “a real concept of reality” because he supports President Donald Trump. The skater particularly cited the thus far unproven accusation that Trump referred to several third world nations as “sh**hole countries” in a closed-door meeting on immigration. Despite his comments, though, the skater insisted that he won’t use his platform as an Olympian to protest either Pence or Trump, nor will he speak out for gay rights during his time as a competitor. Rippon also noted that he might feel disposed to meet with Pence after his time at the games is up.